Prague is the largest city and also the capital in Czech Republic. It is also the historical capital of Bohemia. 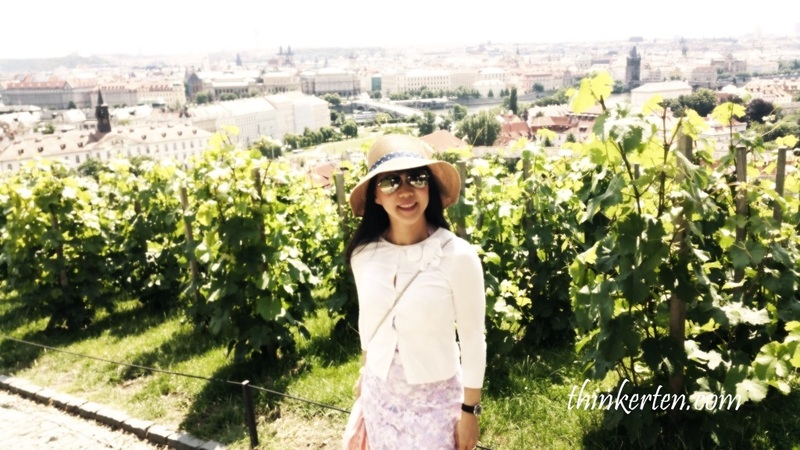 Prague is getting popular among Chinese these days after few famous Chinese movie shoot here. 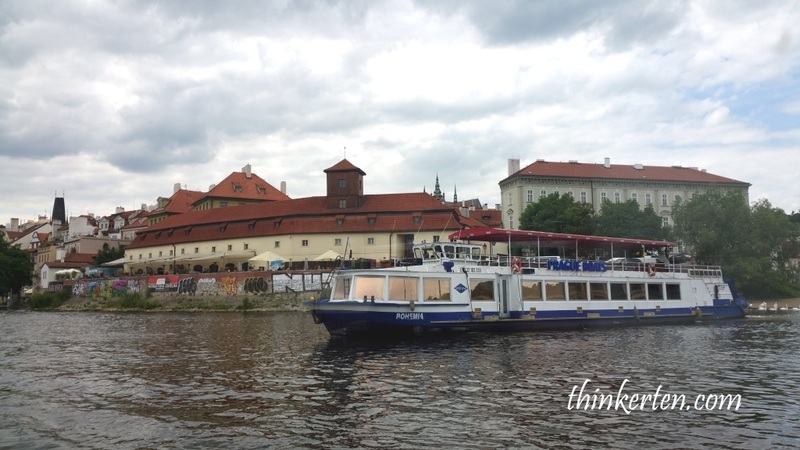 Prague is considered one of the popular destination in Europe , it is the fifth most visited country in European city, after London, Paris, Istanbul and Rome. 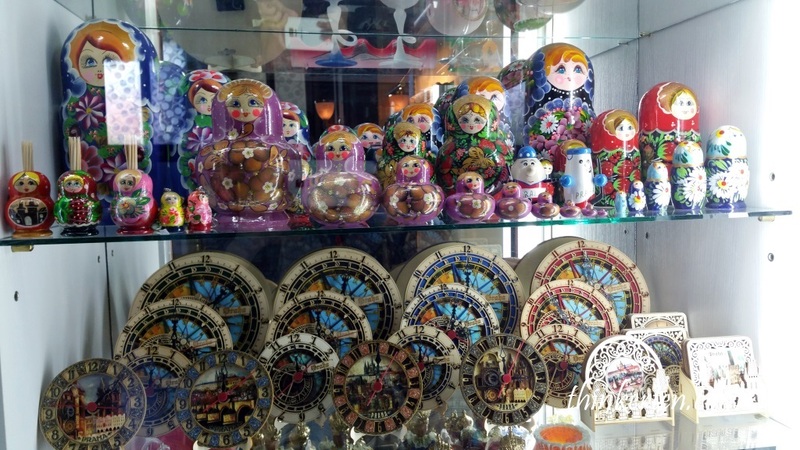 Found these cute souvenirs in the lobby shop of our hotel in Prague. Early morning, we took a quick walk outside our hotel in Prague. Below picture was taken outside the hotel, opposite of the hotel are flat houses for local residents. We were staying outskirt of the city. There was a tram passing by in front of our hotel, trams are widely used in Prague. One of the highlight of today was to Prague Castle. It is the largest ancient castle in the world according to the Guinness Book of Records. We were lucky to have a very tall tour manager for our groups so it was easier for us to find him. This place was so crowded with tourists early in the morning when we arrived. If you see closely, there was a yellow Chan Brothers flag holding by Daniel, our tour manager in the below picture. 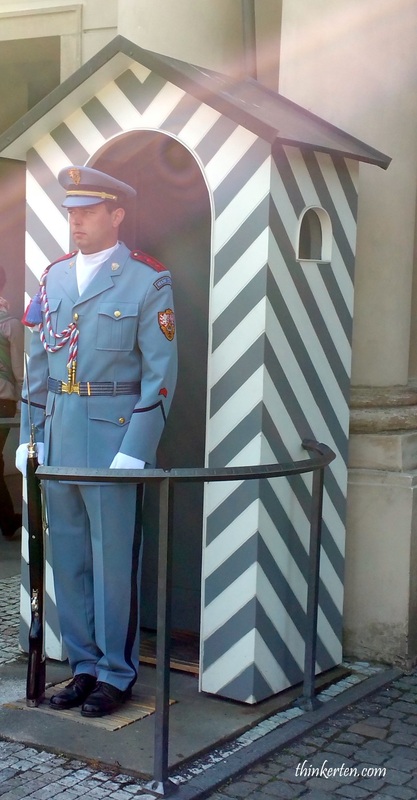 We did not manage to see the Changing the Guards ceremony but saw one cool Czech soldier standing tall beside the gate of the Castle. The weather in summer was great in Europe. I personally like to travel to Europe in summer because the day is longer and I could enjoy more with cooling weather and longer day. I was still wearing a cardigan so the weather was still very comforting. This place is about the size of 7 football fields, there were plenty of walking up and down hill, luckily I was wearing a flat shoes which did not give me any problems. There was a skinny female guide explaining this Prague Castle in detail. We were given a headset to listen to her so we could still walk freely. If I was not mistaken she was from Romania and still a student studying in the University. Prague castle is very big and it includes gardens, alleyways and royal residences and church that would take days to appreciate. One of the dominant building is St Vitus Cathedral. It took almost 6 century to complete St Vitus Cathedral for Roman Catholic. This is the largest and most important church in Prague. When I entered I was amazed by the beautiful example of architecture and design from hundreds years back. 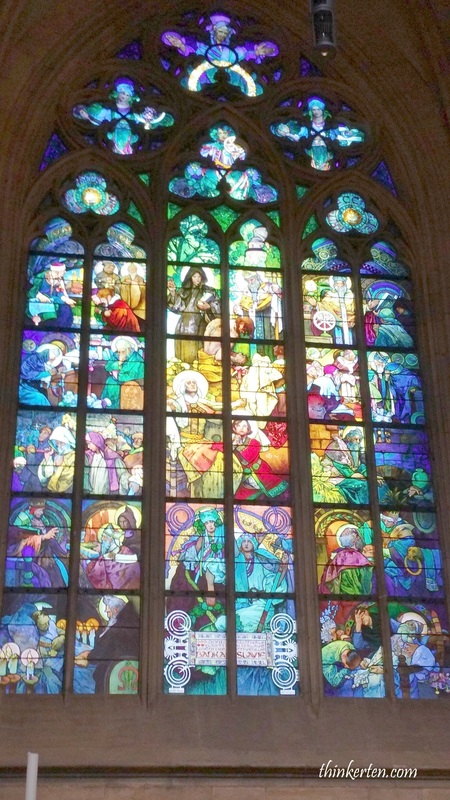 I especially like the stained glass window, it was just stunning when the light hits them and all the different colors just appeared. 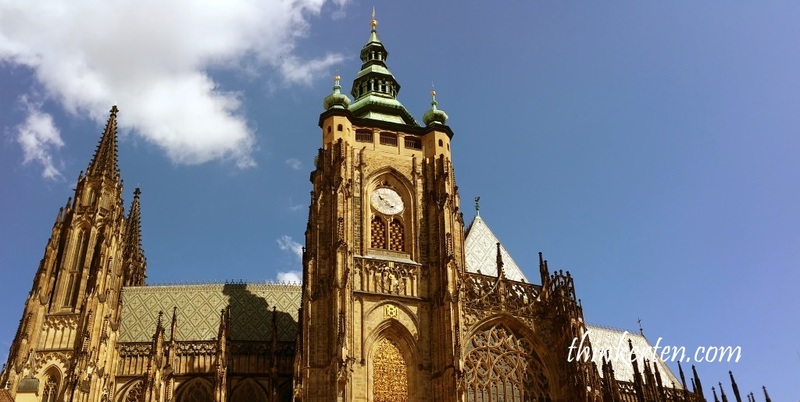 The local guide told us St. Vitus Cathedral is a very important church because it is the seat of the Archbishop of Prague and the place where saints, kings, princes and emperors of Bohemia are buried. 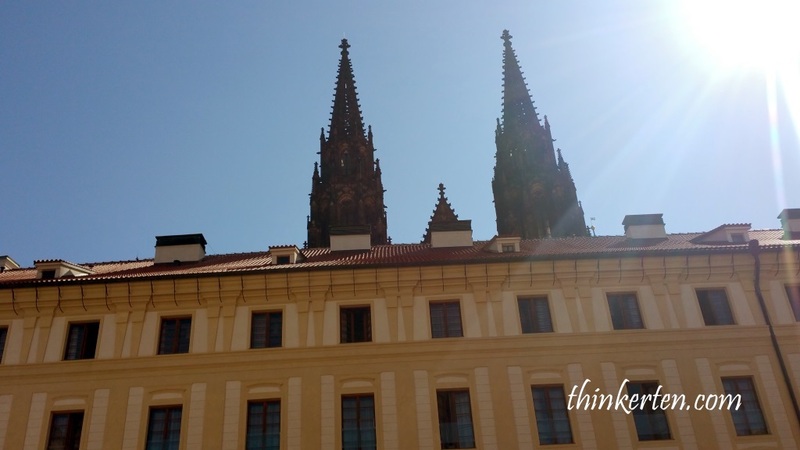 I would think St. Vitus Cathedral is one of the highlight in Prague Castle . 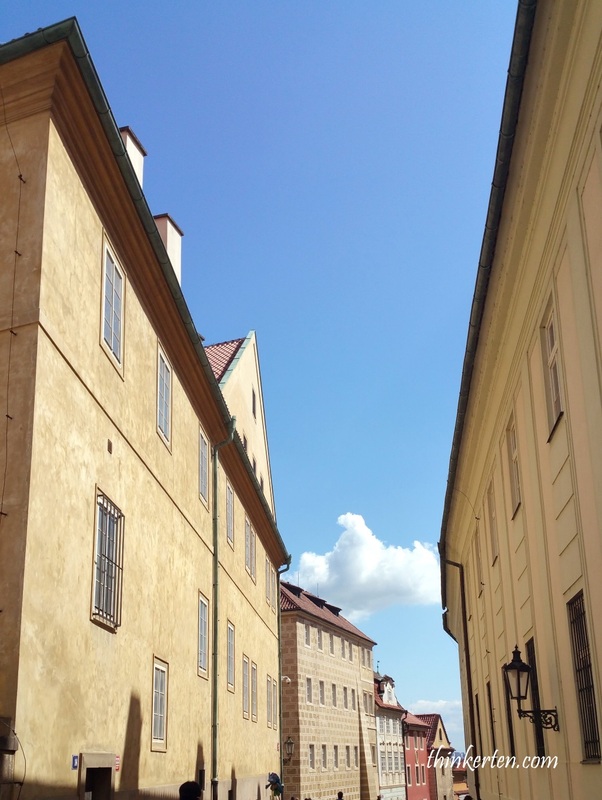 Golden Lane is a narrow lane in Prague Castle. It was hard to walk through the Golden Lane, it was narrow and along the lane was tiny houses painted in colorful walls. It was hard to walk because it was so crowded with tourists, especially in Summer time. Summer is always a peak season everywhere in Europe. Inside the tiny houses, cute souvenirs were found display for selling. This is quite a unique place because the houses are so tiny, even the door is super tiny. 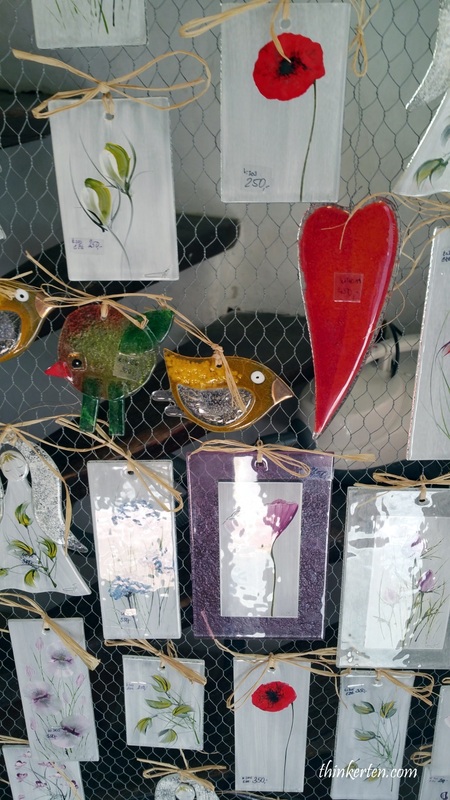 Some fridge magnets were selling at these tiny shops. 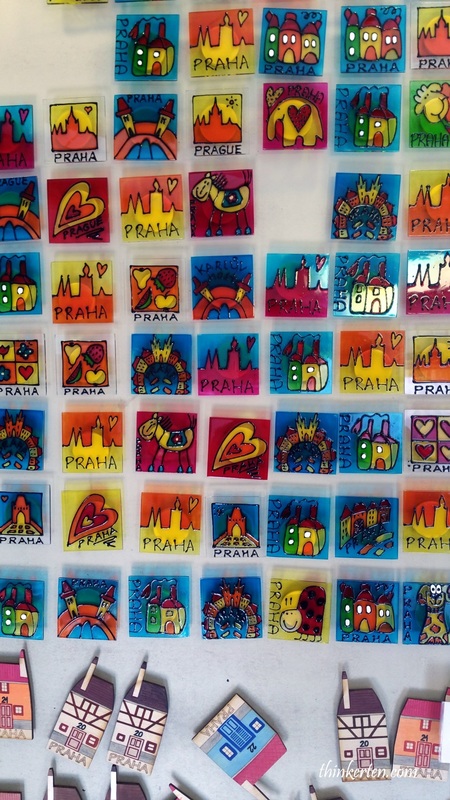 Praha can be seen written in many of the souvenirs. Praha is also known as Prague. 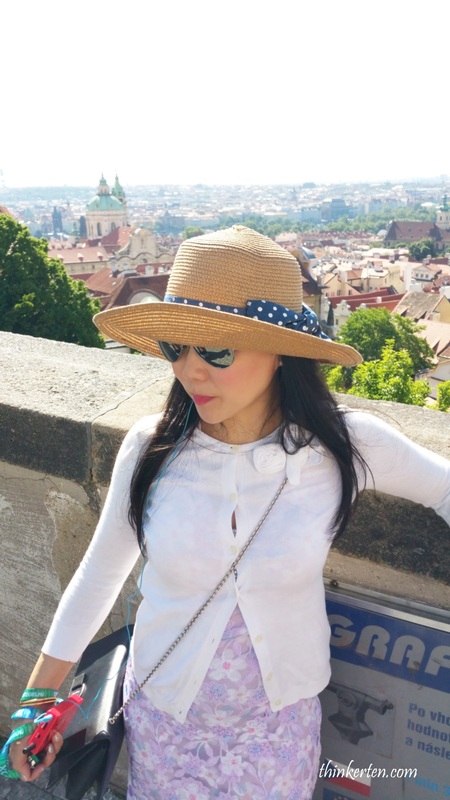 I took a picture when we were going down the hill in the castle near Golden Lane, there is a viewpoint where we can see the fabulous view of the whole city Prague. Behind me are grape trees planted in the Prague Castle. This is a beautiful stone bridge crosses the Vltava river in Prague, Czech Republic. The bridge was already crowded with tourists and we have to be super careful with our belongings. 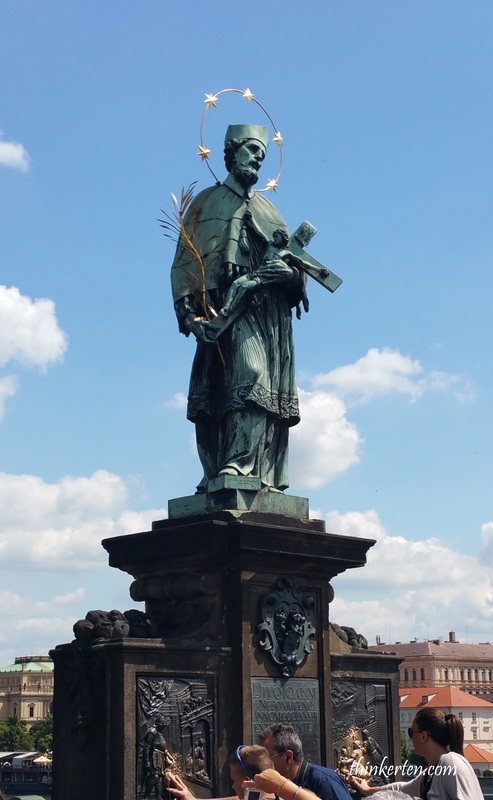 There were quite a few statue in Charles Bridge and the most famous statue is called Saint John of Nepomuk. The guide told us that people came here to make a wish and have good fortune. Everyone is rushing to touch the bottom of the statue and it is super shiny with lighter color. According to the legend, Saint John of Nepomus was a priest in Prague under King Wenceslas IV, son of Charles IV. The King wanted to know what did his Queen confess to the priest but the priest refused to reveal. The king got angry and thrown him into the Vltara River and he die of drowning. I managed to squeeze in to touch the bottom of the statue, hoping to get some good luck. 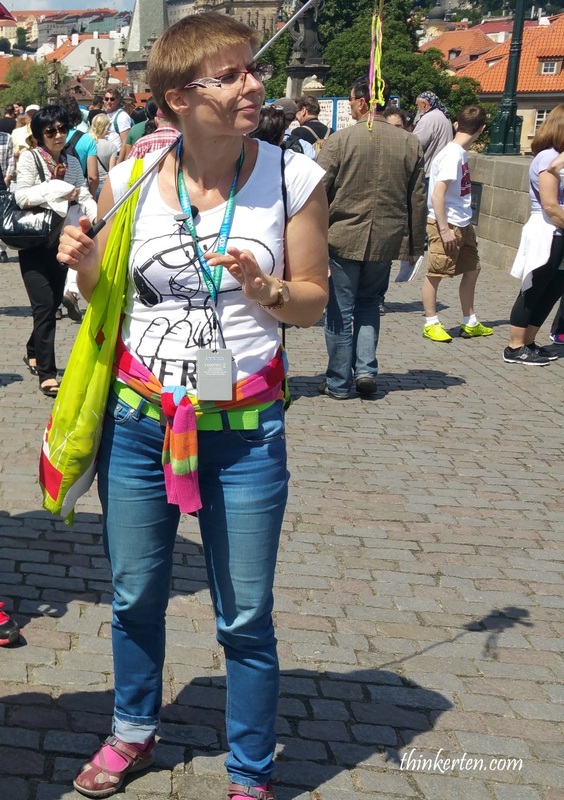 The Romanian guide is cute, she likes to close her eyes when she speaks. Her speech is like mumbling. When she was talking, it was like hypnotizing, no wonder I felt so sleepy after listening to her after the first hour. Wenceslas Square is one of the main city squares and New Town of Prague. 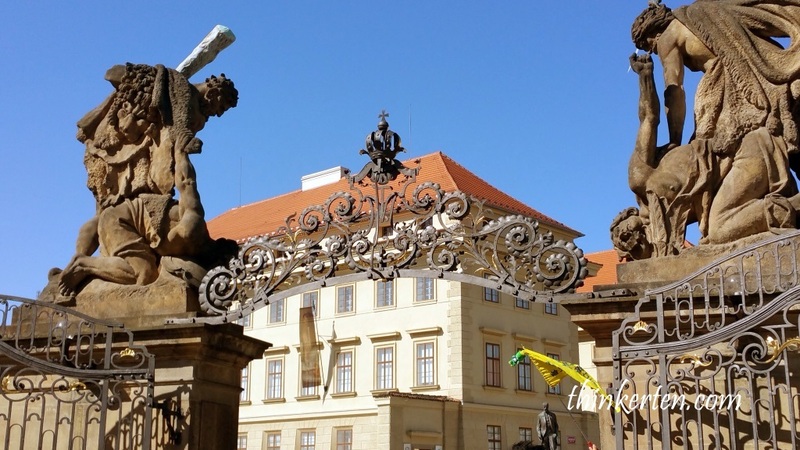 Prague is divided into New Town and Old Town. This place is also a traditional setting for demonstrations, celebrations, and other public gatherings. It was already flooded with people before lunch. This clock is the third-oldest astronomical clock in the world and still operating. Crowd of tourists gathered here at 12 pm to see the clock ringing. The ringing only last for less than a minutes. It was incredibly hot when the clock ringing at 12 pm. We were glad to be there by 12 pm. Good timing. The cost including lunch and 2 hours cruise cost 30+ euro. I think this is very reasonable price as we also have a live musician in the cruise playing the accordion for 2 hours. Food was delicious, music and ambiance was great, plenty of room for us to move around freely. After our lunch, we went outside the cruise to have some sun and fresh air. 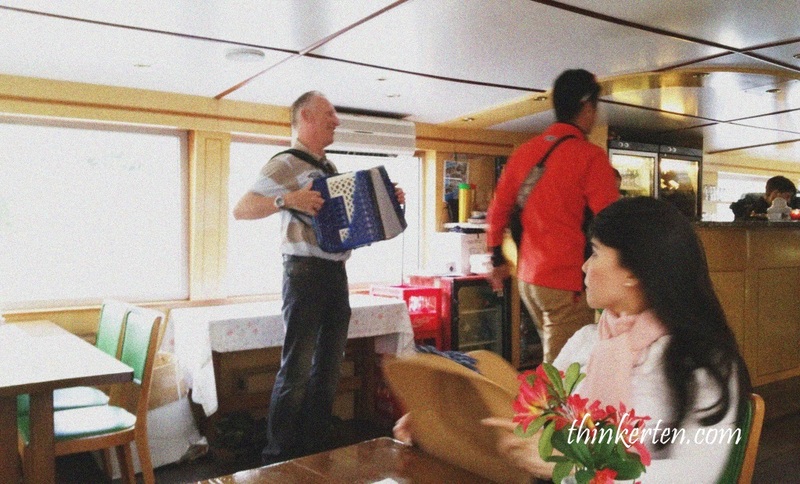 The musician was still following us and played his lovely accordion while we all enjoyed the beautiful scenery of river cruise, overseeing Charles Bridge. What I like most about this cruise was the cruise was only catered for our private group. Unlike other cruise, we did not have to rush or grab the food with other tourists from other countries. After our cruise lunch, we shopped freely in Wenceles Square. The square is named after Saint Wenceslas, the patron saint of Bohemia. I took a picture in front of the statue of Wenceslas I of Bohemia, his nickname is “the good king”. Prague is famous for its Bohemia crystal. We did some window shopping at the biggest Bohemia crystals shop in Prague. They also sell other type of stones in the crystal shop. Even you don’t buy, is good to just shop and look around these beautiful crystal while in Prague. I was quite happy to get a Dior handbag in Prague. Compared to Galeries Lafayette in Paris, the Dior in Prague has less people and there were also friendly staff to attend to you. The price is competitive and similar to Paris. I could not find the Chanel Store. 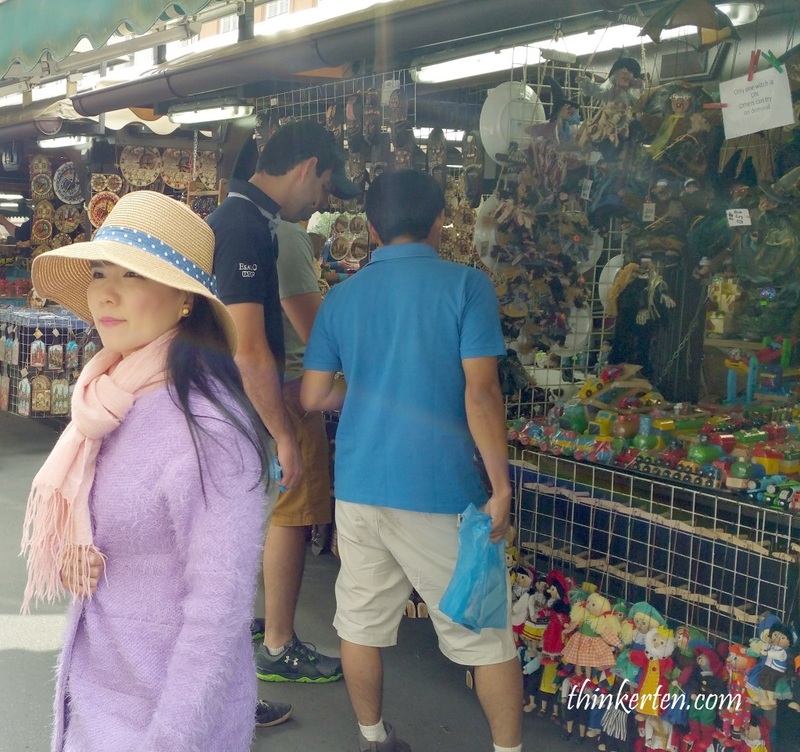 Buying some Czech souvenirs from the Wenceslas market. I bought a hand puppets and a Swiss lookalike knife/multipurpose knife, cost only $4 euro with word Praha written on it. Statue of Wenceslas I of Bohemia, nicknamed the good king. Charges Bridge – a stone bridge crosses the Vltava river in Prague.